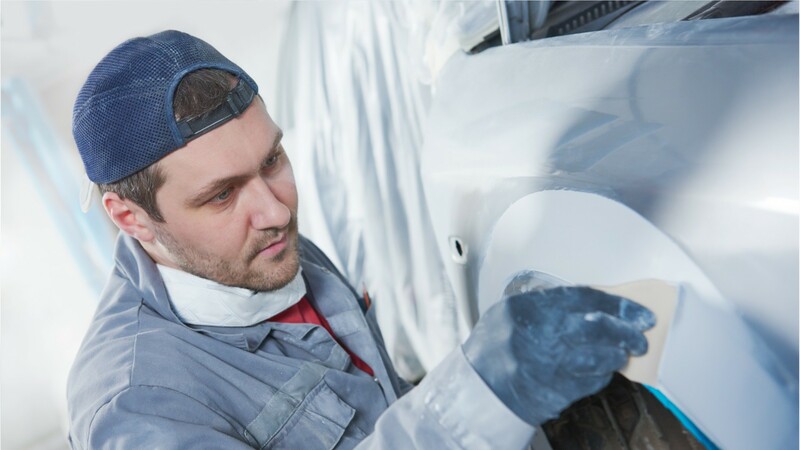 Whether they’re applying a shiny finish to add sparkle to an old car, or fixing structural damage from a collision, automotive body and related repairers bring damaged vehicles back to nearly-new condition. Auto body repairers restore the structural integrity of car bodies and frames. They use pneumatic tools and plasma cutters to remove damaged parts, and heavy-duty hydraulics for major structural repairs. For some work, they use common hand tools, such as metal files, wrenches, and screwdrivers. Most work in automotive repair and maintenance shops, though many also work at car dealerships. Some are self-employed. The work can be physically demanding— working in cramped positions, often in noisy body shops, these workers commonly suffer cuts and burns, so it’s important they follow safety procedures to avoid serious accidents. Most automotive body repairers work full time. When shops have a backlog of work to complete, overtime hours are common, including evenings and weekends. Though formal training in auto body repair is preferred, many candidates are hired without it, and learn on the job. Certification from the National Institute for Automotive Service Excellence is a standard credential that often brings higher pay and better job opportunities. See more details at O*NET OnLine about automotive body and related repairers. Automotive Body & Related Repairers by U.S. Department of Labor, Employment and Training Administration is licensed under a Creative Commons Attribution 4.0 International License.